Discover the full suite of Adobe Learning Solutions, providing modern and intuitive technologies to deliver engaging and impactful learning experiences across the entire blend. Learning Plan is an Adobe Certified Reseller and your local Adobe Learning partner, combining the best technologies with award-winning expertise in consultancy, design, training and support. Welcome to the world of smart eLearning. Create virtually any kind of responsive eLearning content, from application simulations to HD product demos, assessment modules and more. Create fully responsive eLearning content faster, without programming and automatically transform legacy desktop courses into mobile learning. 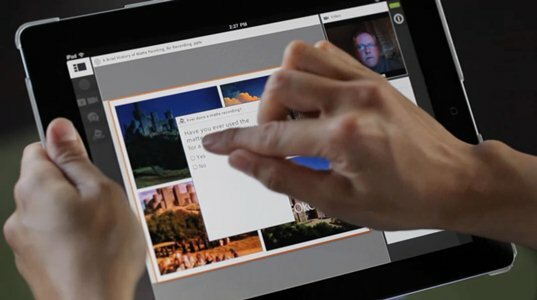 Do it all with just one tool – the world’s leading eLearning authoring tool Adobe Captivate. Take charge of your learning environment and offer stimulating learner experiences with Adobe Captivate Prime LMS. Maximise learning impact by developing skill-based learning programs. Play all kinds of content seamlessly with the Fluidic Player. Foster a learning culture using gamification and mobile learning. Deliver immersive, engaging and collaborative online virtual classrooms Live or OnDemand with Adobe Connect Learning. Support blended learning with synchronous and asynchronous content, deploy interactive mobile experiences including breakout sessions and measure effectiveness with detailed learner reports. Give your SMEs an authoring tool to create interactive eLearning with stunning assets and quizzes. Adobe Presenter allows you to quickly and easily convert PowerPoint presentations to eLearning, add quizzes, scenarios, and out-of-the-box assets, and publish to HTML5 for access using desktop and mobile browsers. Get a personal video studio right at your desktop. Save time, money and effort while you create, edit and mix interactive HD videos and transform the video viewing experience. Seamlessly deliver a multi-device viewing experience, and enable the content for analytics. Our Adobe Captivate training courses develop essential skills to create impactful, meaningful eLearning for your organisation. The courses are designed and facilitated by our own Adobe Certified Instructor and Adobe Captivate Certified Expert. We also provide a range of training services for all products in the suite of Adobe Learning Solutions. Contact us to discuss your requirements. Creating learning that works requires more than just technology. Our support services range from consultation, needs analysis, user experience design, implementation as well as ongoing technical and administrator support. As we are an award-winning learning solutions provider, we have a holistic understanding of the learning environment and partner with clients to derive the most effective outcomes for your learners and your business goals.